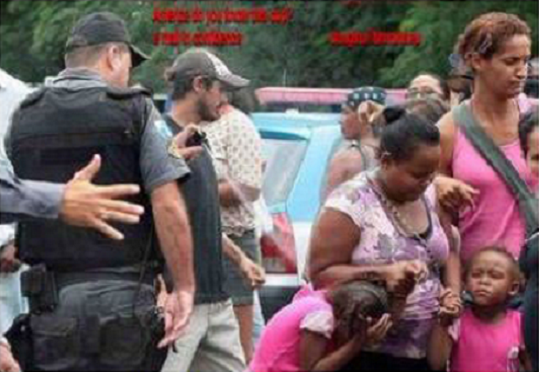 Photo Of Cop Macing A Little Girl When Will Police Abuse Stop? Photo Of Cop Macing A Little Girl, When Will Police Abuse Stop. A photo circulating around Facebook shows an officer attacking a very young child with mace as she tucks her head down to avoid his abuse. Several children and elderly were hit with the painful spray at a protest in the South. What is the world could an innocent little girl do to make an officer want to mace her? He obviously has no self control. If he could do this in plain sight, imagine what would be possible behind closed doors. SHARE if this disgusts you! !